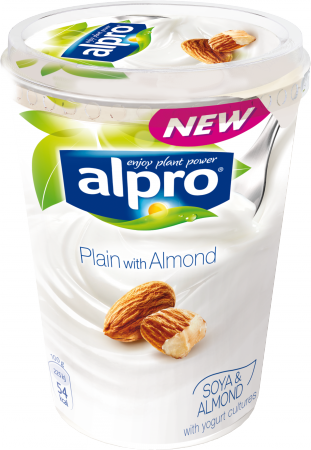 Alpro Plain with Almond perfectly blends the silky smoothness of our plant-based alternative to yogurt with the delicate, nutty flavour of almonds. Plain and simple, it’s up to you which of your favourite fruity toppings you add – or you can enjoy it just as it is. It’s naturally perfect for breakfast, but we won’t stop you if you feel like dipping into it anytime! A varied, balanced diet and a healthy lifestyle is recommended for good health.